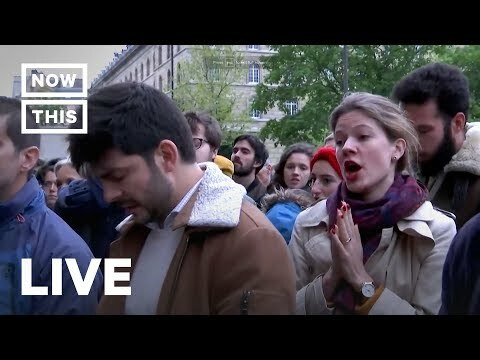 VIGIL FOR NOTRE DAME CATHEDRAL: Parisians gather at the Church of Saint Sulpice to hold a prayer vigil for Notre Dame Cathedral after it was damaged by a massive fire on Monday. The flames were finally extinguished after a 12-hour battle with much of the shell of the stone structure still intact. Firefighters also said they managed to save many priceless works of art and some of the church’s most cherished relics, including the crown of thorns that Jesus is said to have worn.